So you never know who you're gonna be playing against in my Manhattan Mixed Doubles tennis league. Last night, I looked across the net and saw this bundle of energy and his partner, a woman probably closer to my age in tennis years. Turns out the guy is Shaun T! He of the very successful fitness craze, Insanity. I didn't know who he was until after the match when someone mentioned they'd like to get a picture with him. Yeah, dude, that's Shaun T! Dude, he's HUGE in the fitness world. What do I know about the fitness industry? Nothing at all. Do people still work out to those Jane Fonda or Richard Simmons VHS tapes? But I do have a good friend who happens to be the mother of Carl Daikeler, the CEO of Beachbody, which, as it turns out, is the mother ship of Insanity, P90X, etc. Connection! 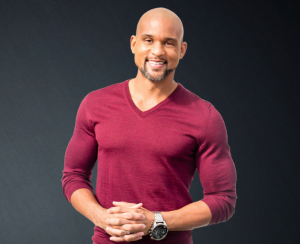 It struck me that if the actors I work with on ActorIntro and Actors Insite could channel 1/3 the amount of energy and commitment to marketing themselves as Shaun T did they'd "see instant results" (to use fitness jargon). I'd also bet that Shaun T will take away something useful from our match last night. Learning from a setback (Elena and I won in straight sets) is one of the most important keys to improvement in any endeavor. And all endeavors have setbacks! It's all in how you respond to them.